It’s Too Late To Stop Now is the first live album by Van Morrison. It was recorded in 1973 and it catches him paying his dues to his influences. It collects the best of the tracks from concerts at The Troubadour in Los Angeles, the Santa Monica Civic Auditorium and at The Rainbow in London between May and July 1973. It’s difficult to categorise an album like this – is it rock, soul or blues? It even has a jazzy feel to it. This amalgamation of styles is what makes Van Morrison such a special artist and he had a golden period in the late 1960s and early 1970s when he made some of the greatest music ever recorded. Astral Weeks, Moondance and St Dominic’s Preview are amongst my most favourite studio albums and I believe that each is essential. Which is the best? Well that keeps on changing depending on my mood but St Dominic’s Preview fits neatly between the others in style. In 2008, a bonus track was added – a live version of Brown Eyed Girl. This is an amazing set pulling together early Van Morrison when he was with the group Them, some of the best songs from his run of classic studio albums – Astral Weeks, Moondance, His Band and the Street Choir, Hard Nose the Highway and Saint Dominic’s Preview – and the greats of blues and soul. For those who wish there was more than one song from Astral Weeks, Van Morrison recorded the entire album live in 2008 – Astral Weeks Live At The Hollywood Bowl. If I’m being really picky (and I need to be), I’m only giving the set list 9/10. I’d trade the covers for more Van Morrison originals and at 92 minutes long, I’d love to see some bonus tracks added. My performance rating is the full 10/10 but then the artist or producer have had the chance to pick the best versions from the different shows.. This album makes fantastic use of musical space to build up the tension and Morrison is on fire on these performances. It swings, it groves. It pulls you in and it won’t let go. The Caledonian Soul Orchestra is well drilled and never falters as the music style switches. Morrison is a tetchy live performer and he can range between fantastic and ordinary. What he doesn’t do is engage with the crowd and while they are enthusiastic, I think it weakens the atmosphere. Legend has it that the album hasn’t been touched up in the studio. The title song of the Moondance album was played on this tour but there weren’t any perfect performances that could be included. The songs feel very live and are adapted from their studio versions so I’ll give it an atmosphere and authenticity rating of 9/10. Since it comes from a number of different shows, that might be quite kind but I feel I was a little stingy on the set list rating. Overall my rating is a terrific 28 out of30 and I can confirm that this is one of the greatest live albums ever released. It’s not perfect but it doesn’t go far wrong. If you like blues and soul, you really should hear this album. This album is generally considered to be one of the best live albums ever and is frequently featured on lists. I’m astonished it hasn’t been featured more although it is for sophisticated musical ears as there is no crash, bang, wallop on this album. I haven’t seen this album offered as a digital download at iTunes or Amazon but things can change. 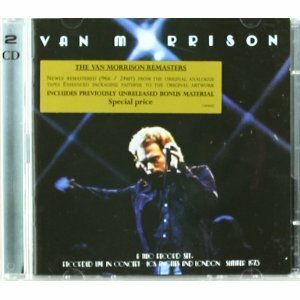 Van Morrison’s past catalogue hasn’t been well treated and there are many albums that are out of print. This is a terrible shame that I hope is fixed soon.That may not happen and the price of van Morrison’s CDs may continue to rise. What Do You Think About It’s Too Late To Stop Now? Is It The Best Van Morrison Live Album? Do you agree that it’s one of the best live albums ever? Or do you think that it’s over-rated? I don’t think Van Morrison has released enough live albums and I’d love him to copy Neil Young and Bob Dylan and release hidden gems from the late 1960s and 1970s when he was at his very best. Please help me find the best live albums by voting in the readers polls. It’s nominated in three categories – the best blues rock, R&B and singer-songwriter polls. best early R&B and rock & roll live albums. This entry was posted in 1970s Live Albums, Blues Live Albums, Blues Rock Live Albums, Rock n Roll and Early RnB Live Albums, Singer Songwriter Live Albums and tagged 1970s Blues, 1970s Blues Rock, 1970s Songwriters, 1973 live albums, 28, blues rock 1973, Live Blues & Blues Rock Albums With Saxophone, SS M, Van Morrison Live Albums by Paul Simister. Bookmark the permalink.